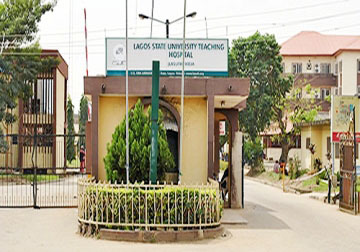 THE Association of Resident Doctors (ARD), Lagos University Teaching Hospital (LUTH) Branch, has lamented over the non-payment of its membersâ€™ salaries by the hospitalâ€™s management in the last three months. It called on the Federal Government to come to the membersâ€™ aid to enable them end the strike, which took effect last Thursday. The hospitalâ€™s ARD President, Dr. Adewale Oba, in an interview with The Nation at the associationâ€™s secretariat in LUTH, Idi-Araba, at the weekend, said the non-payment of salaries has affected his members negatively. According to Oba, many resident doctors could no longer transport themselves to work, feed their families and take care of other basic things because their September, October and November salaries have not been paid. However, a statement by the Head, Corporate Services, LUTH, Kelechi Otuneme, said the hospitalâ€™s management has engaged the Ministry of Finance and other appropriate ministries/ offices to correct the shortfall in payment of allocations, adding that efforts have reached an advanced stage to resolve it and pay outstanding salaries. But, Oba said the association would continue with the strike because no specific information was made available to them on when the salaries would be paid. He lamented that many doctors have been borrowing money to cope with the economic situation in the country. â€œWe never wanted to go on strike, but we have been praying that things would be resolved before it got this worse. We have tried all forms of engagement to ensure that salaries are paid but till now, it has yielded no result. He noted that the association was informed that LUTHâ€™s budget was cut short of about N3 billion from what it used to collect. Oba added that his members were informed that letters have been written to Ministry of Finance, â€œbut there is no fruitful result yetâ€. He said: â€œWe cannot continue to be working without getting salaries. This is unthinkable and it is discriminatory. We hope that this situation does not get out of hand because Nigerian citizens do not deserve all of this. The resident doctors are the defence for consultants because we are in training and it is expected that the training we have been given should transfer to the patients. So, if we are not working, the consultants alone cannot see the patients in LUTH because of the massive inflow of patients into the hospital. He, therefore, called on the Federal Government, through the LUTH management, to come to their aid. One of the doctors, who pleaded not to be named, told The Nation that life has not been easy for him due to non-payment of the salaries. â€œIn a country like Nigeria, even the salary paid is not enough for the expenses. How does Federal Government expect us to survive without being paid. Will those in the market sell to us for free because we are doctors? Or will transporters give us free ride? I have borrowed money from several people and there is no body anymore for me to borrow from. It is actually shameful that doctors are being owed salary and I hope the Federal Government will do something quick to resolve this current situation so that the health sector as well as Nigerians as a whole do not suffer,â€ he said.